It is always nice to have your own herb garden, either in or outside your home. 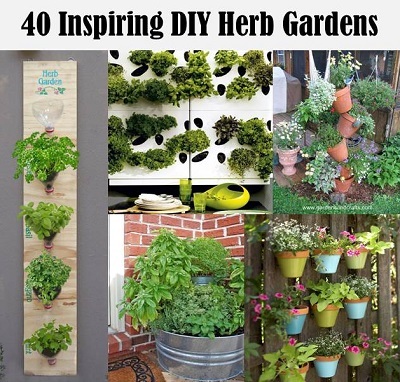 Here is a list of 40 Inspiring DIY herb gardens that I am sure you are going to love. Have a look through this list and start on one that will work for you.